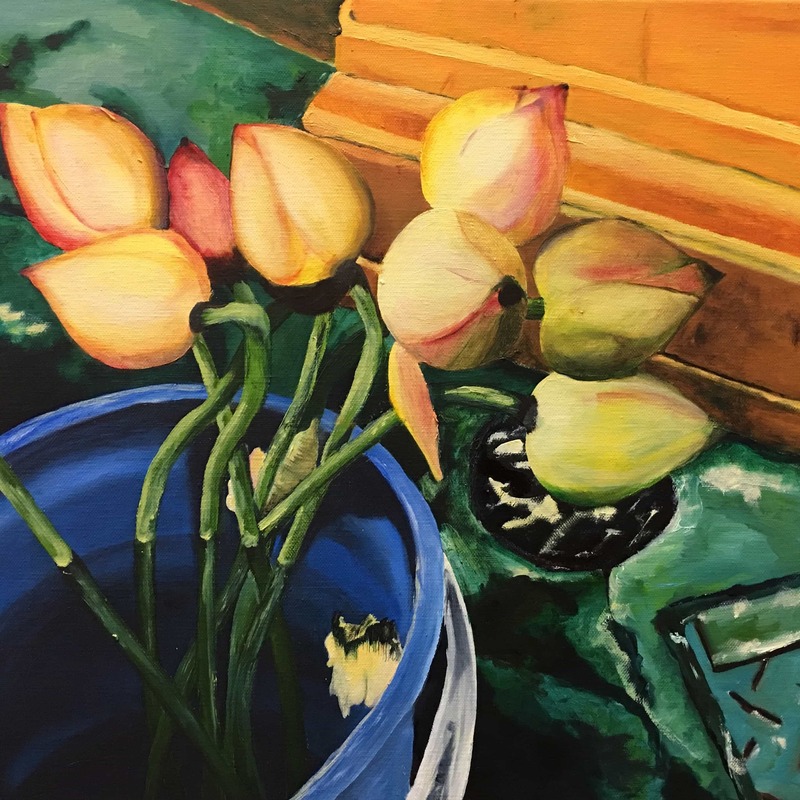 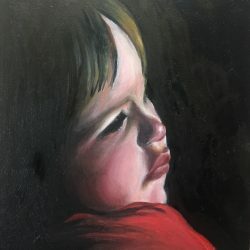 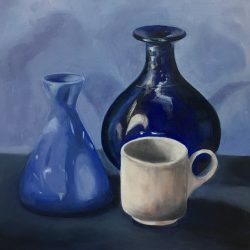 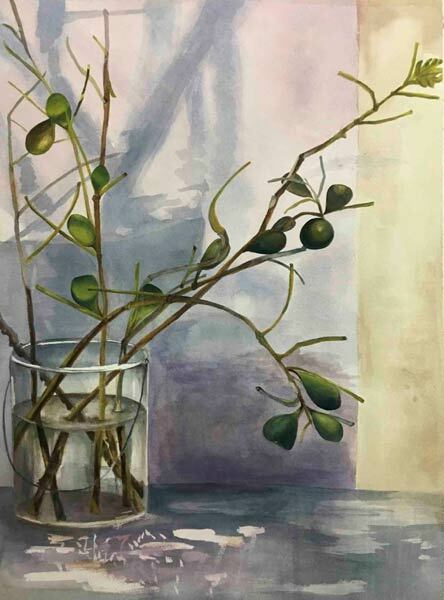 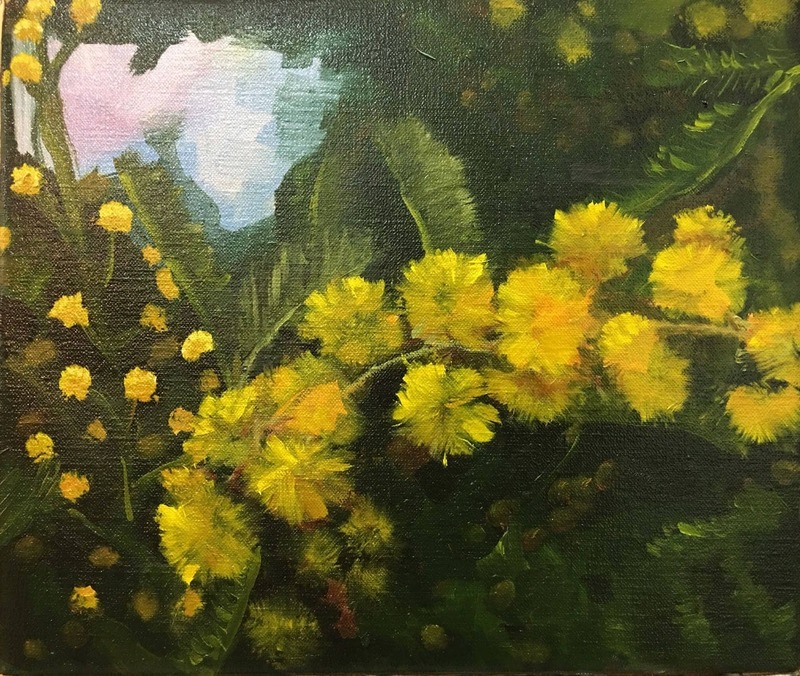 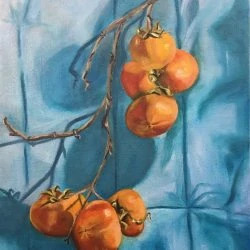 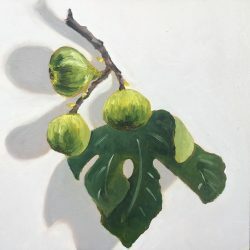 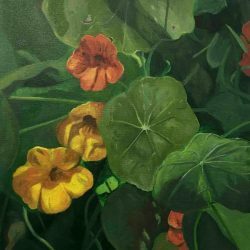 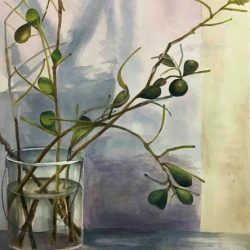 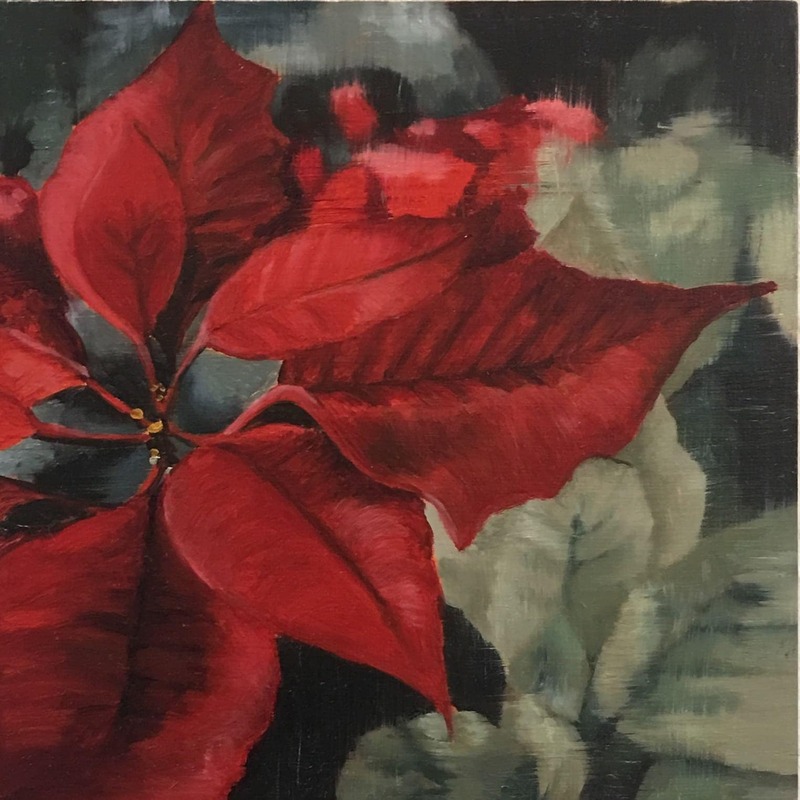 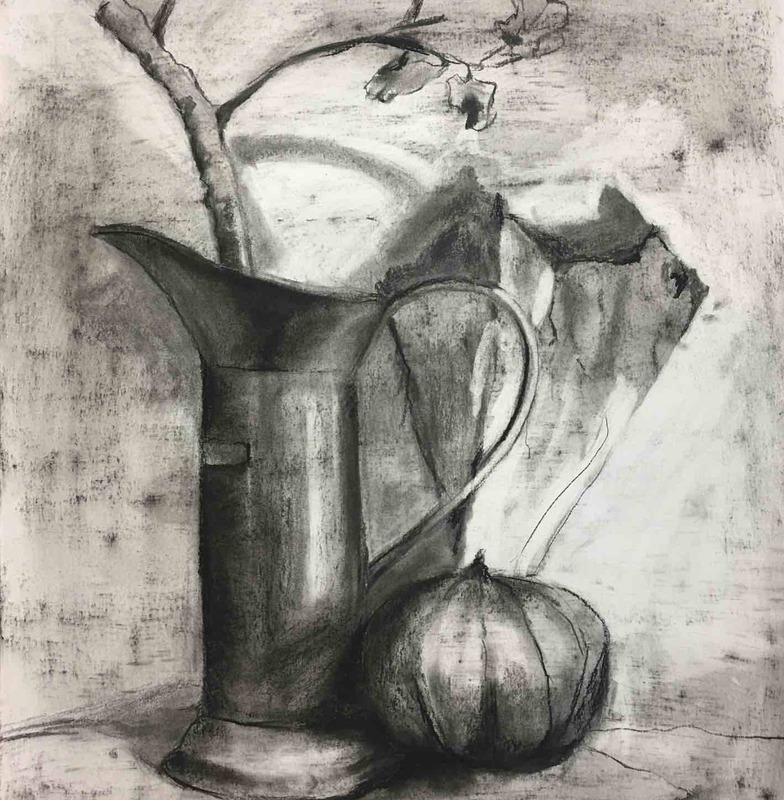 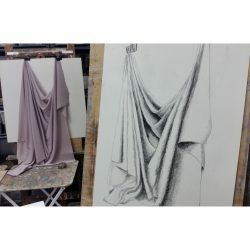 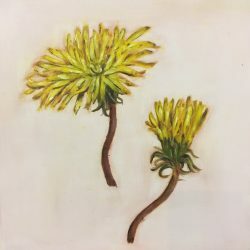 The work in this gallery is a sample of student art work completed by new students in our 4-week beginners course, and by some of our continuing and Atelier class students. 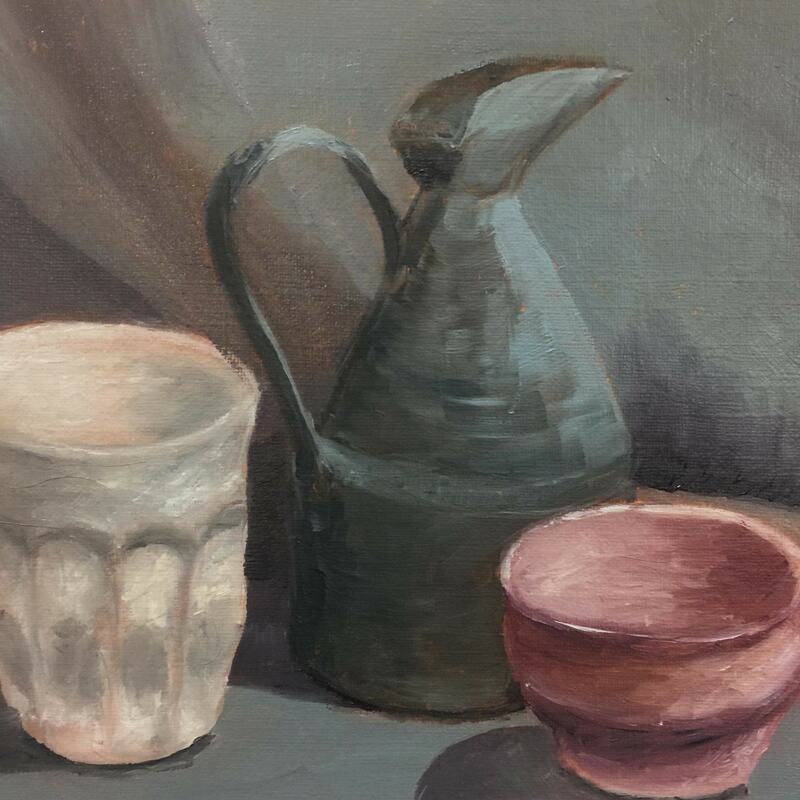 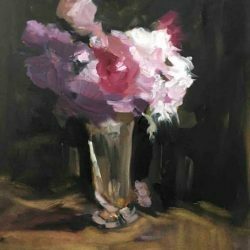 Many of our students began painting with us as complete beginners, progressed through to our ongoing classes and are still with us today! 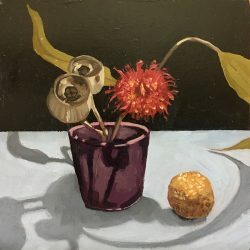 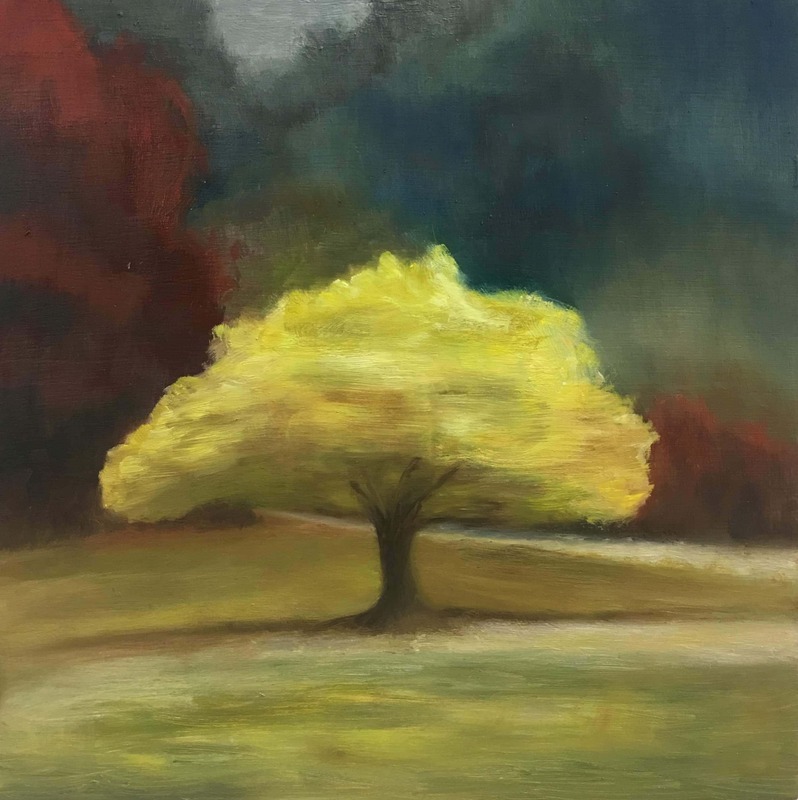 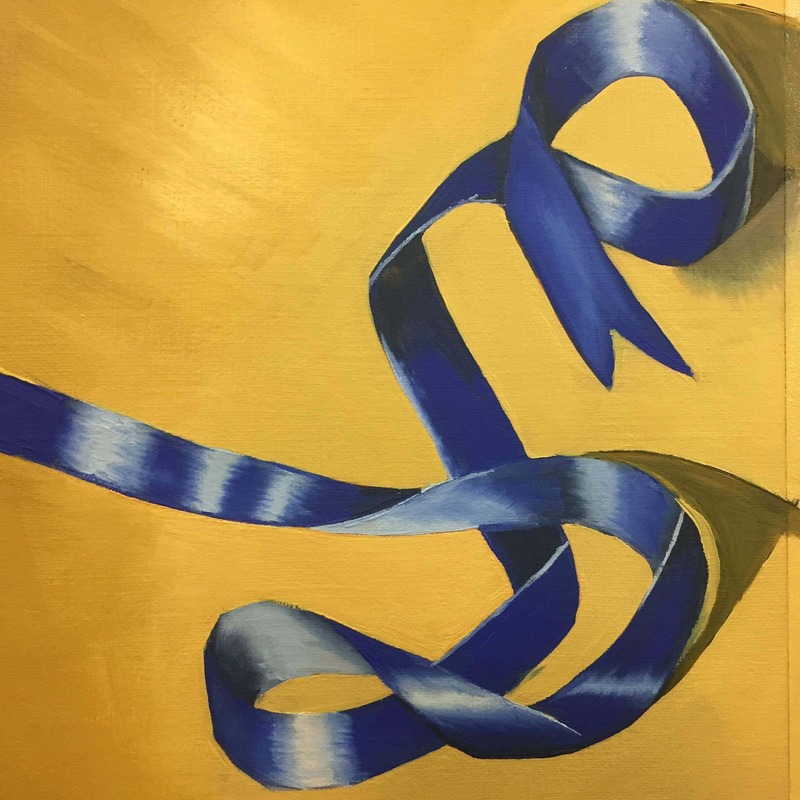 Many of our ongoing students exhibit as a group annually at external galleries and successfully sell their work; professional development, guidance and support is a part of both our Atelier and ongoing classes. 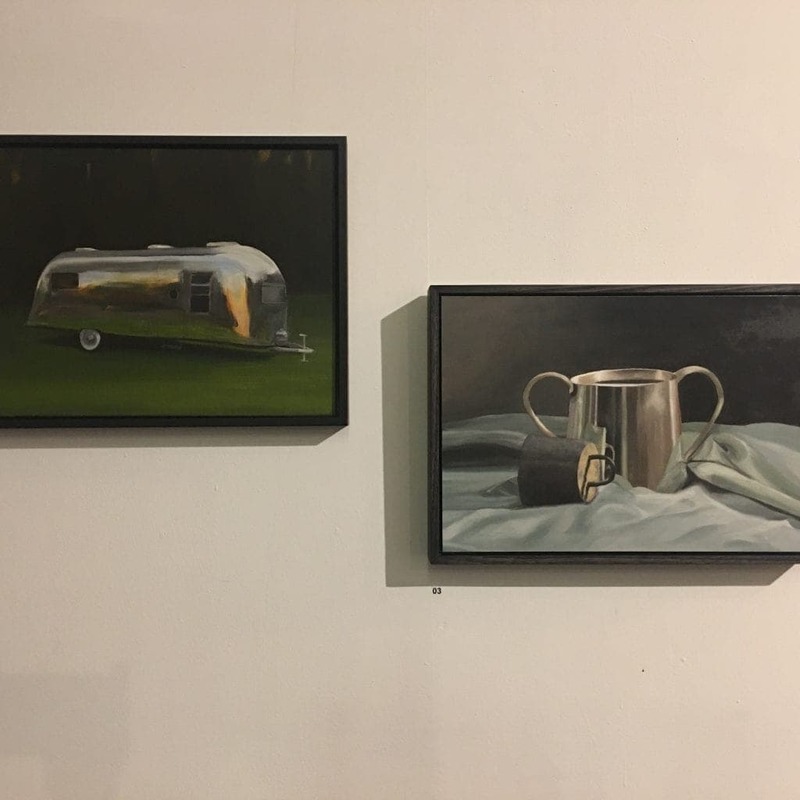 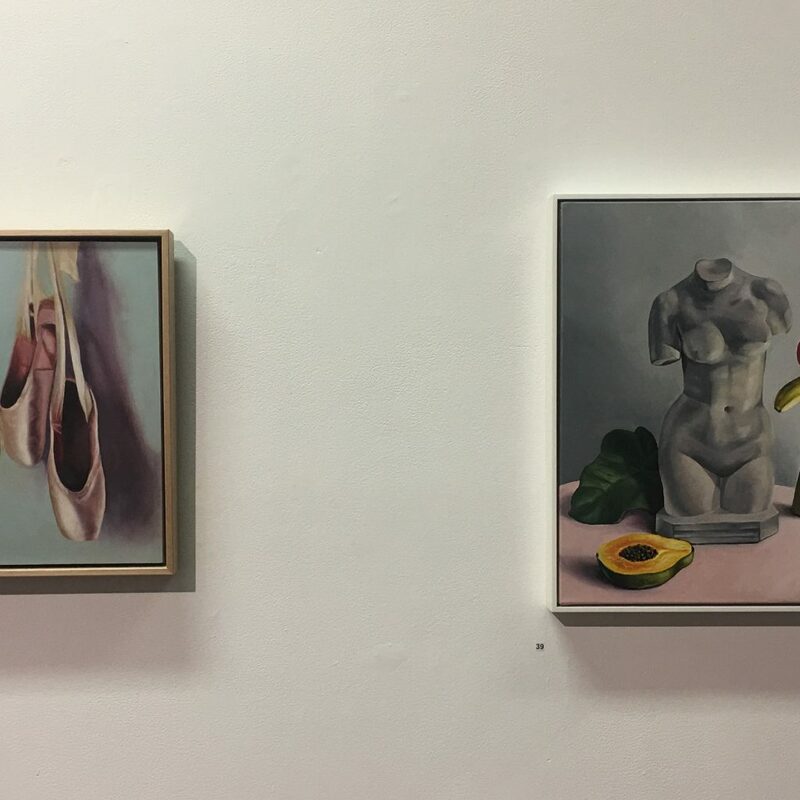 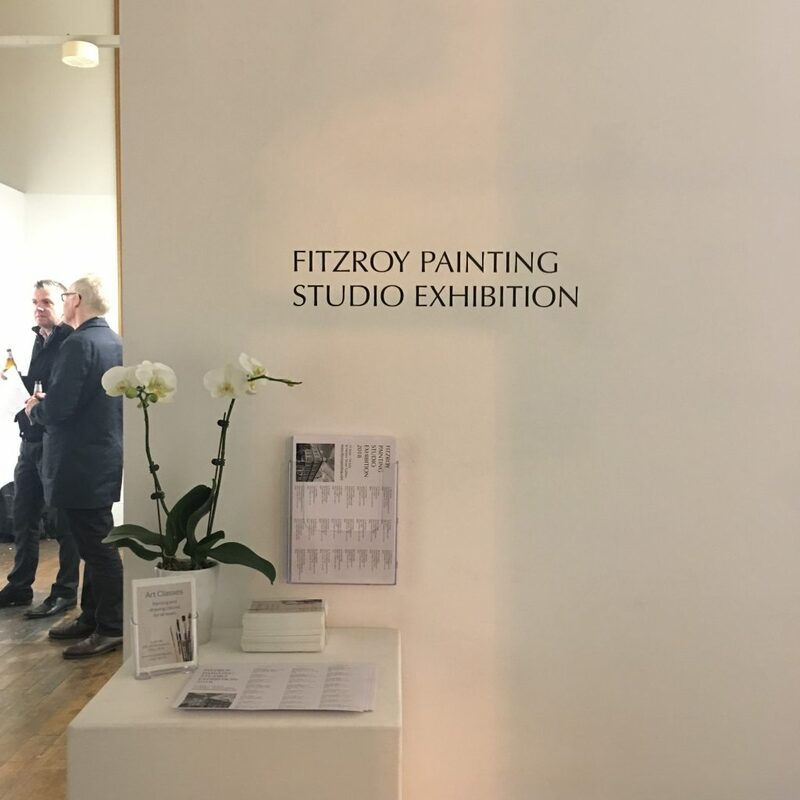 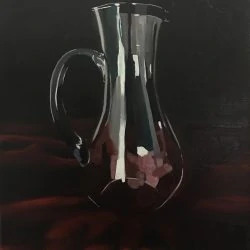 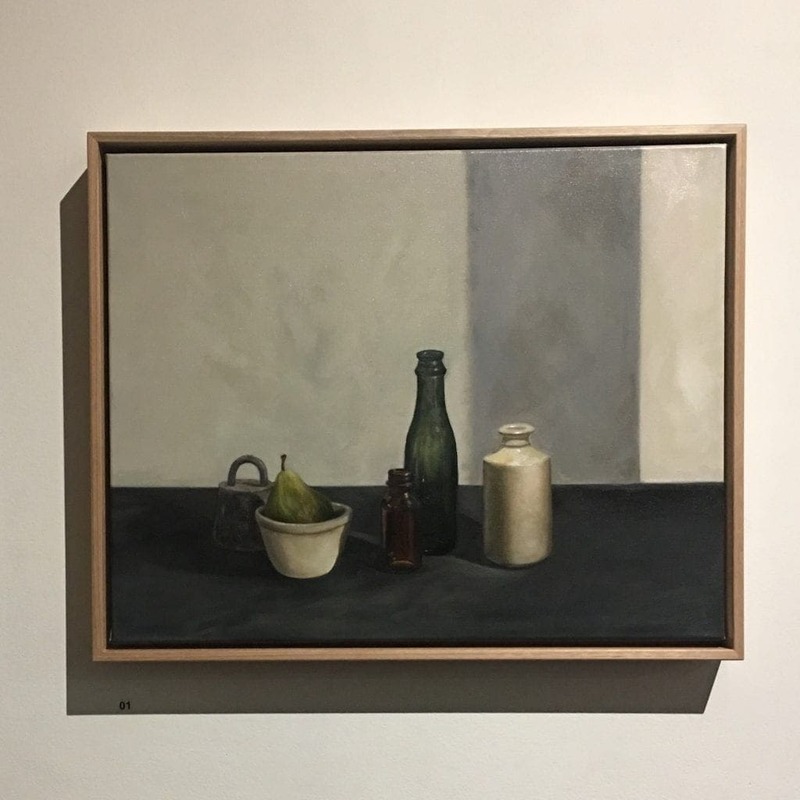 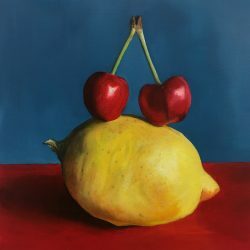 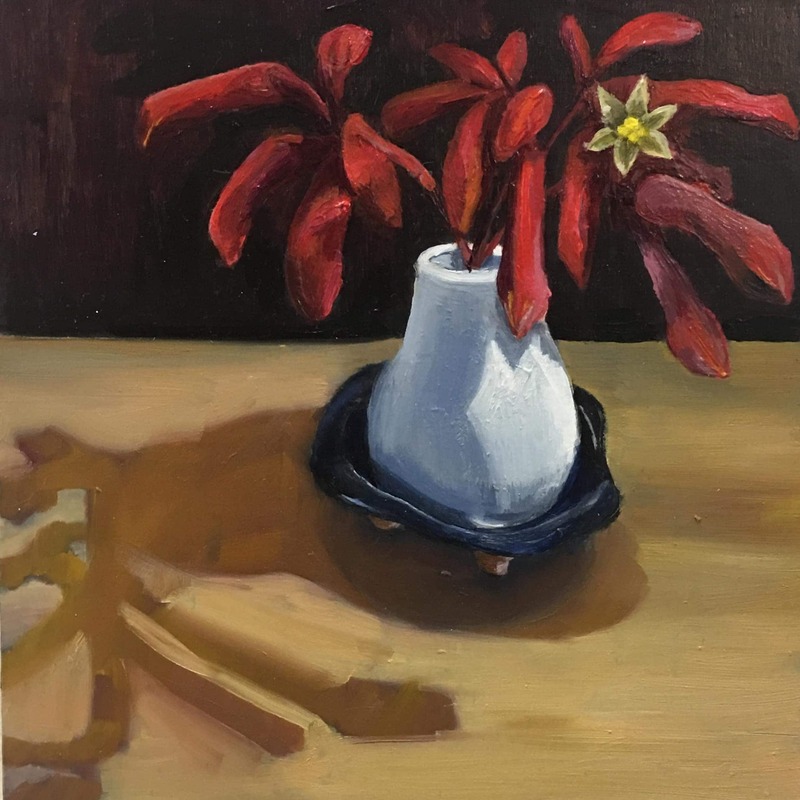 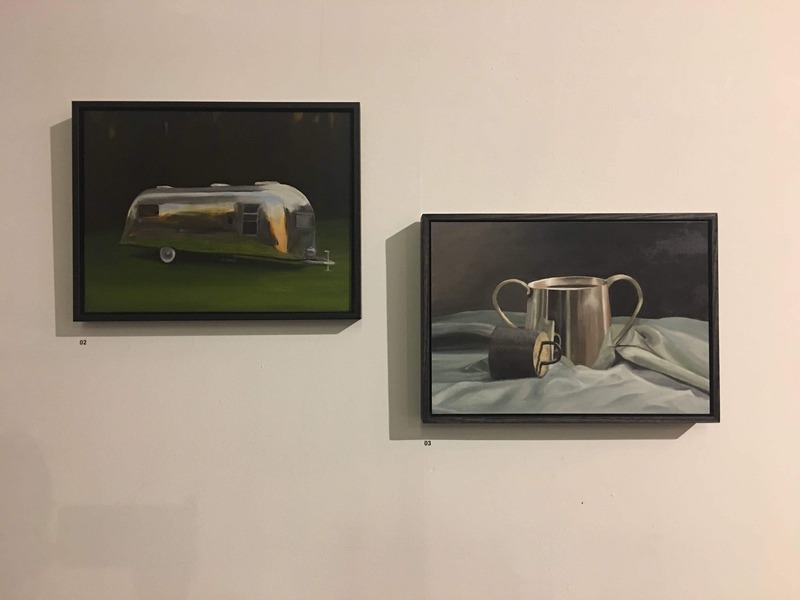 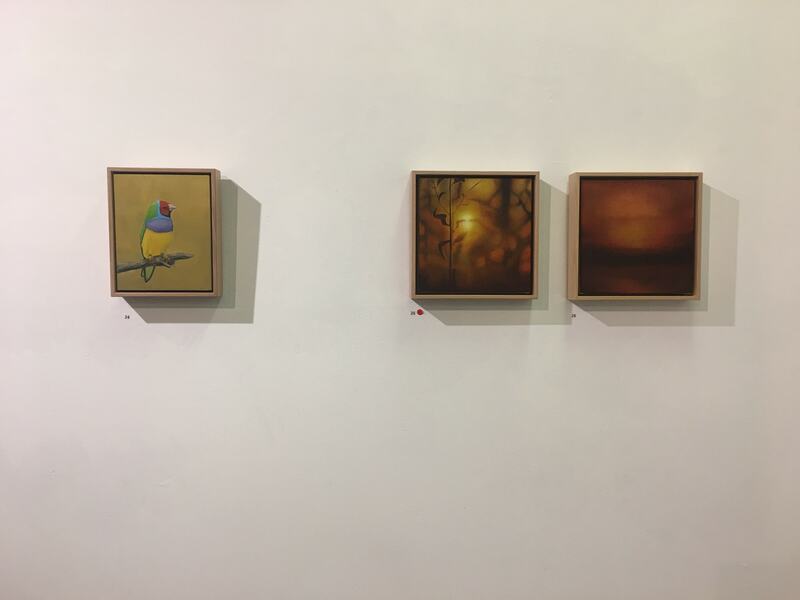 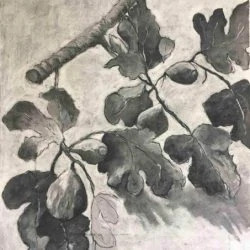 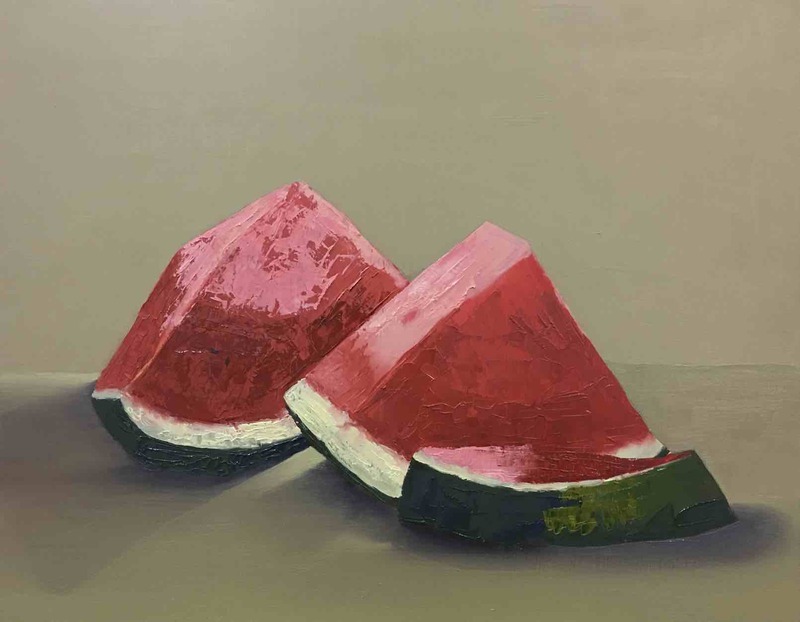 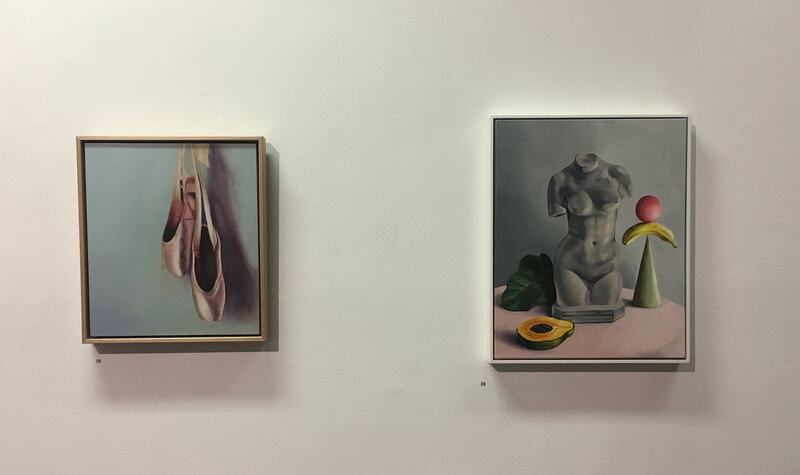 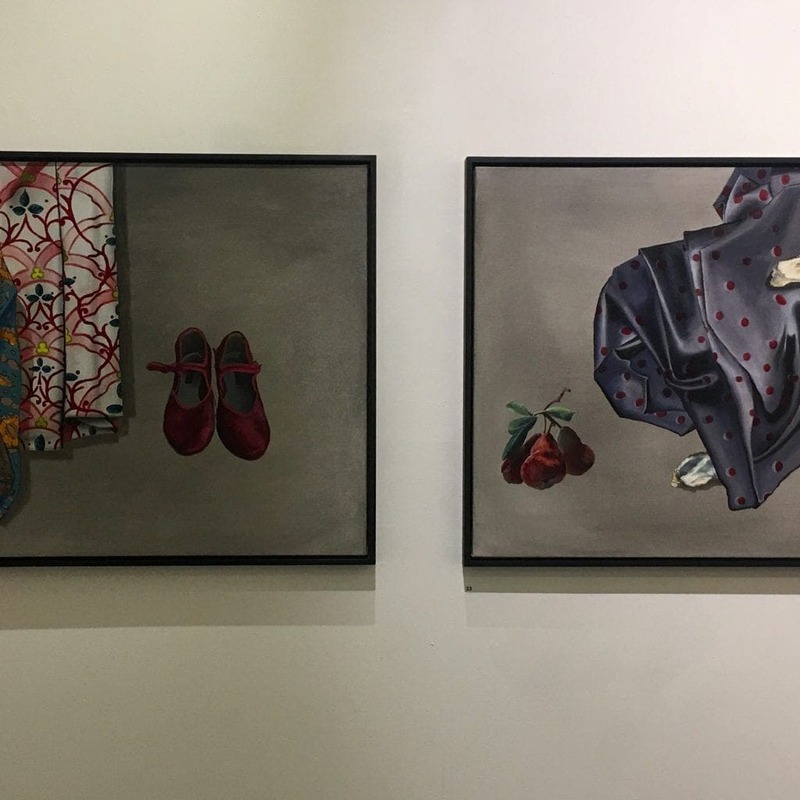 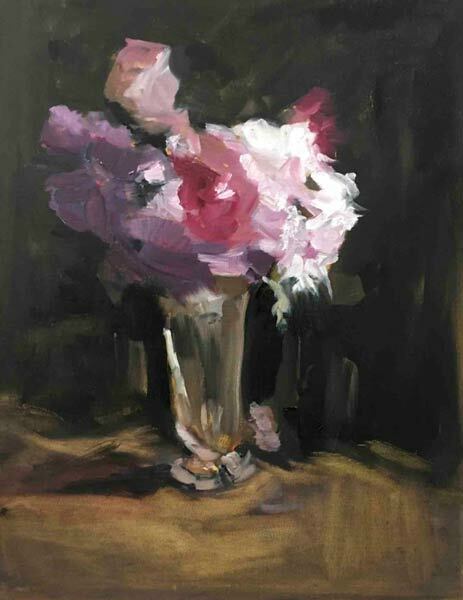 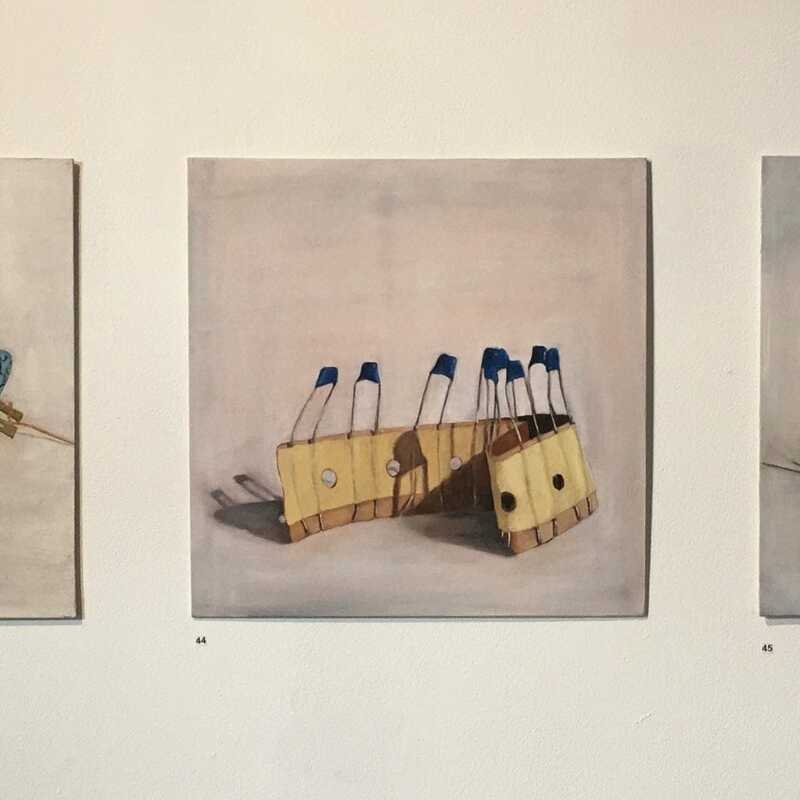 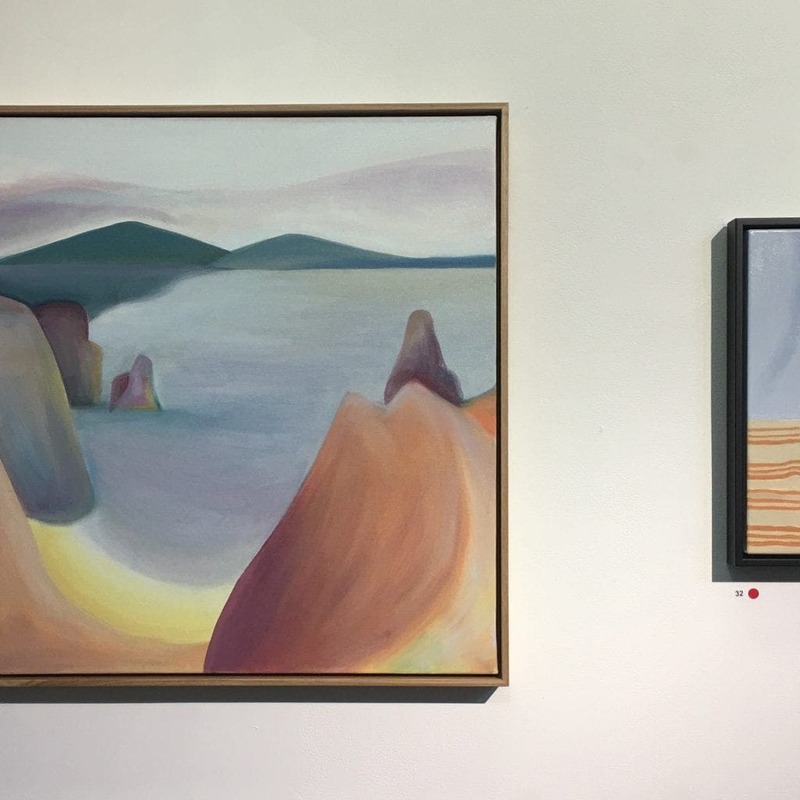 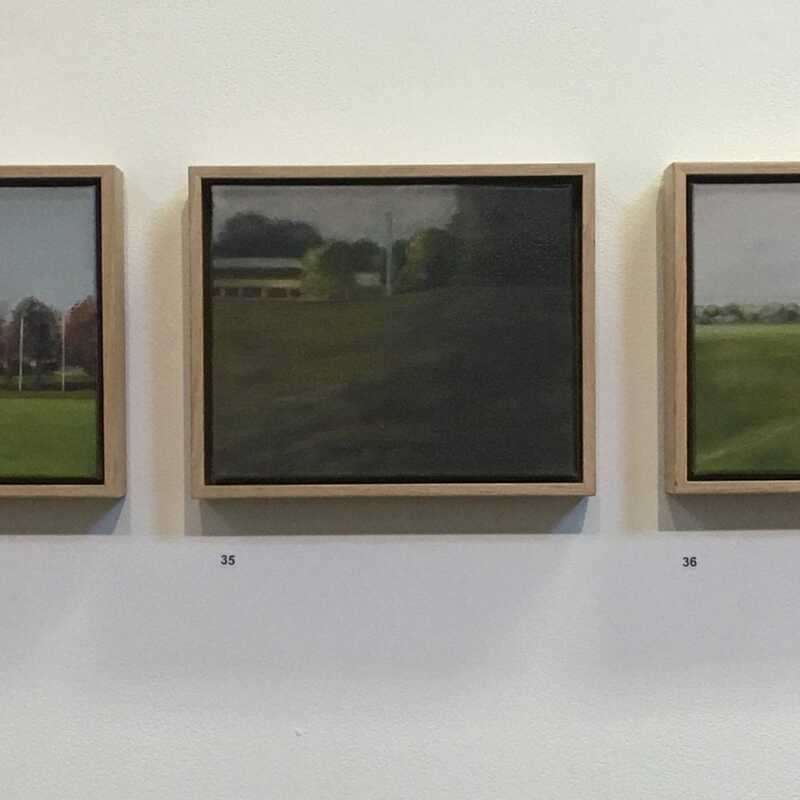 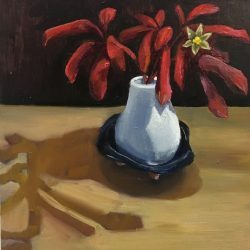 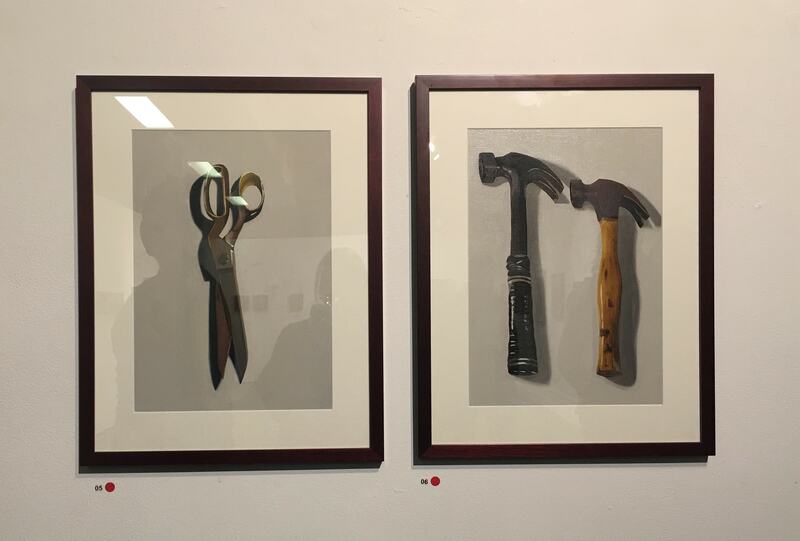 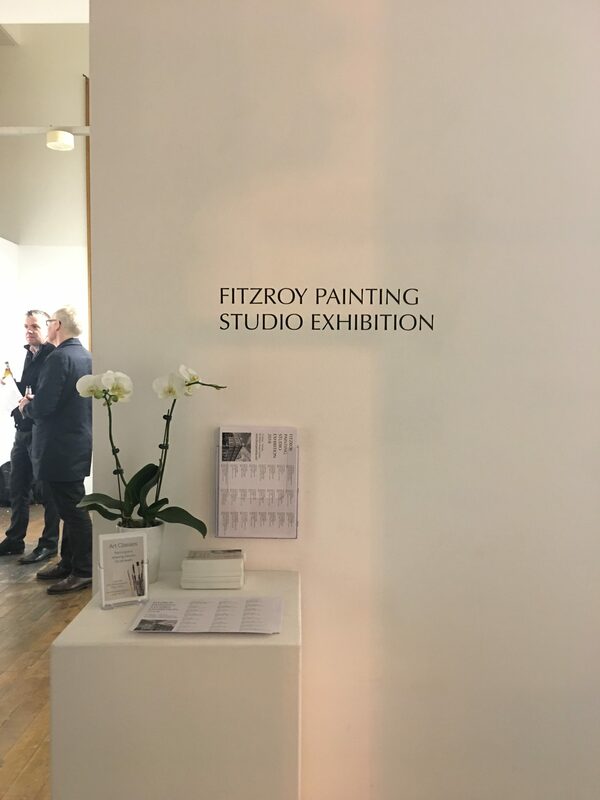 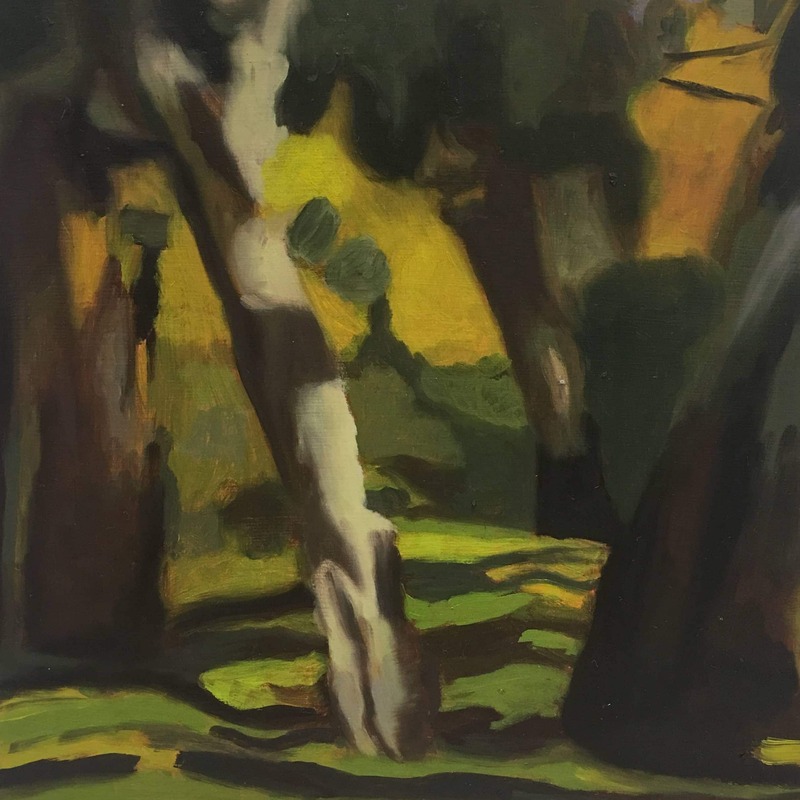 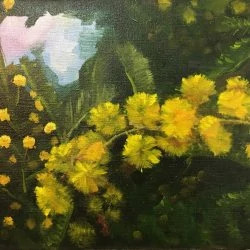 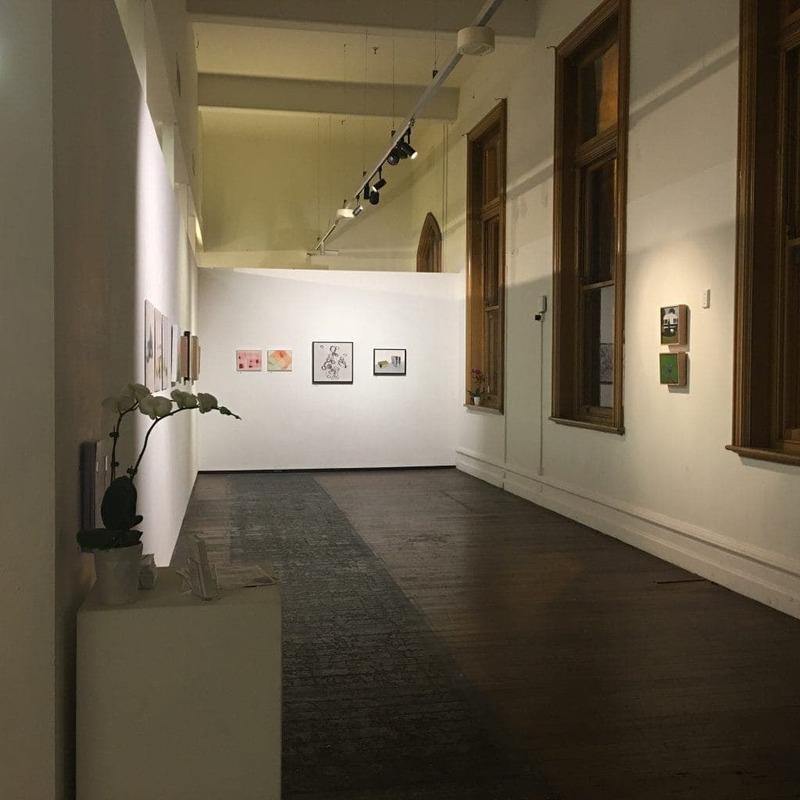 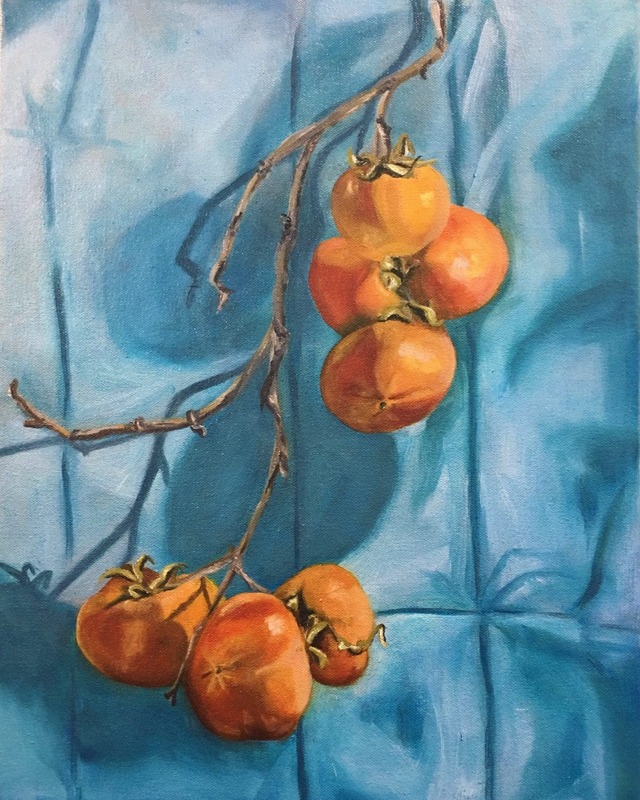 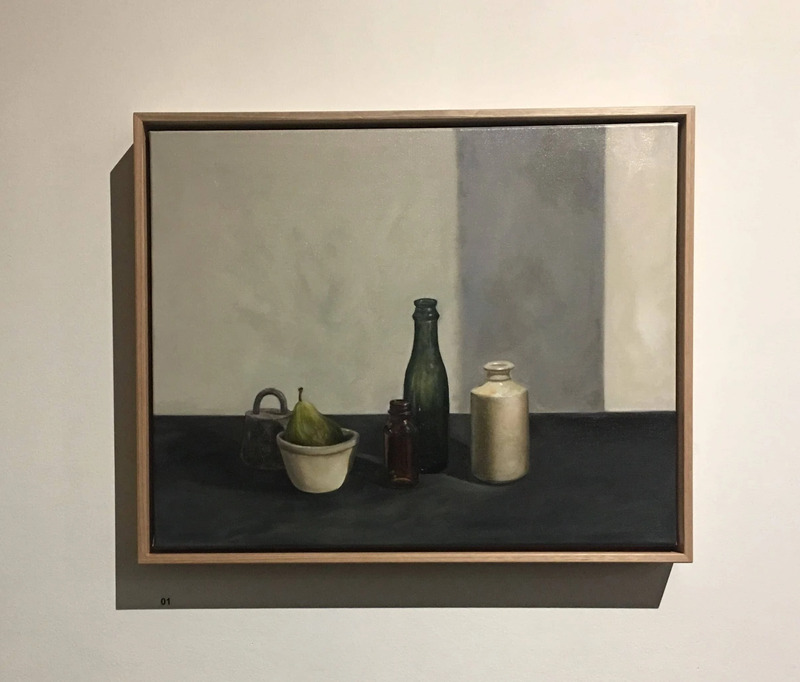 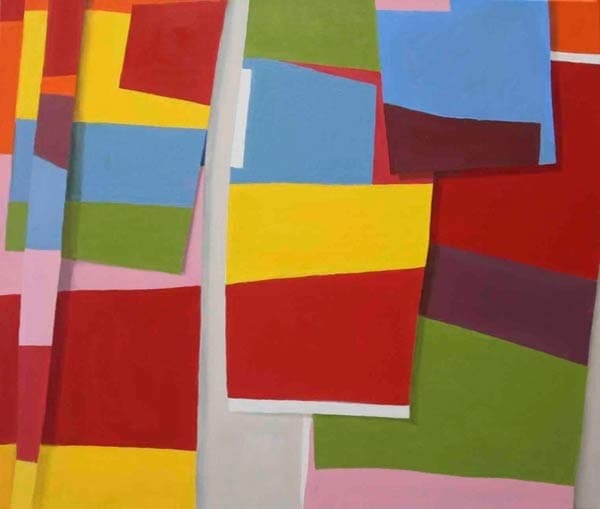 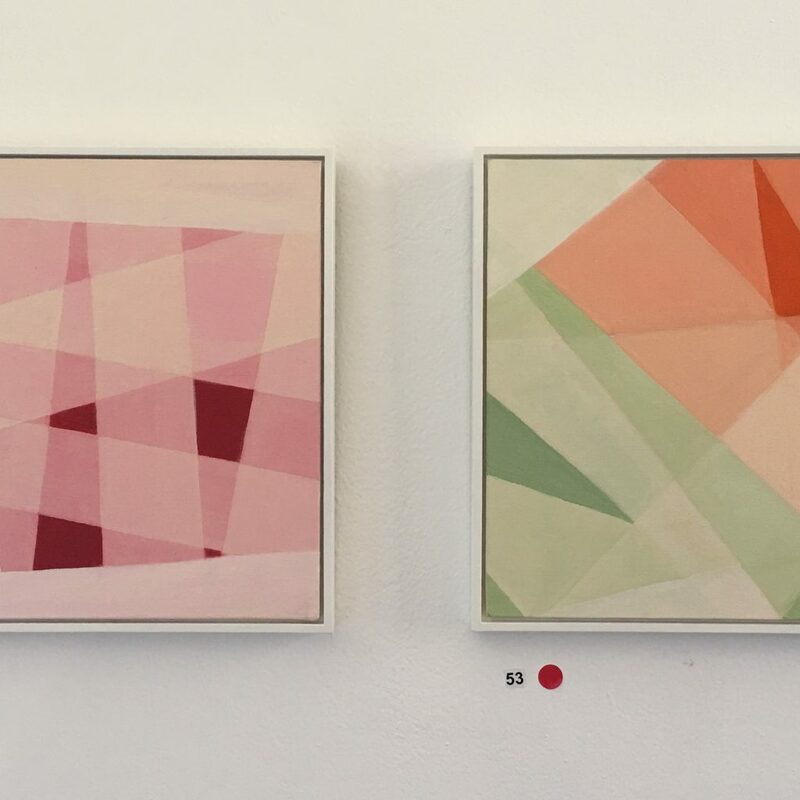 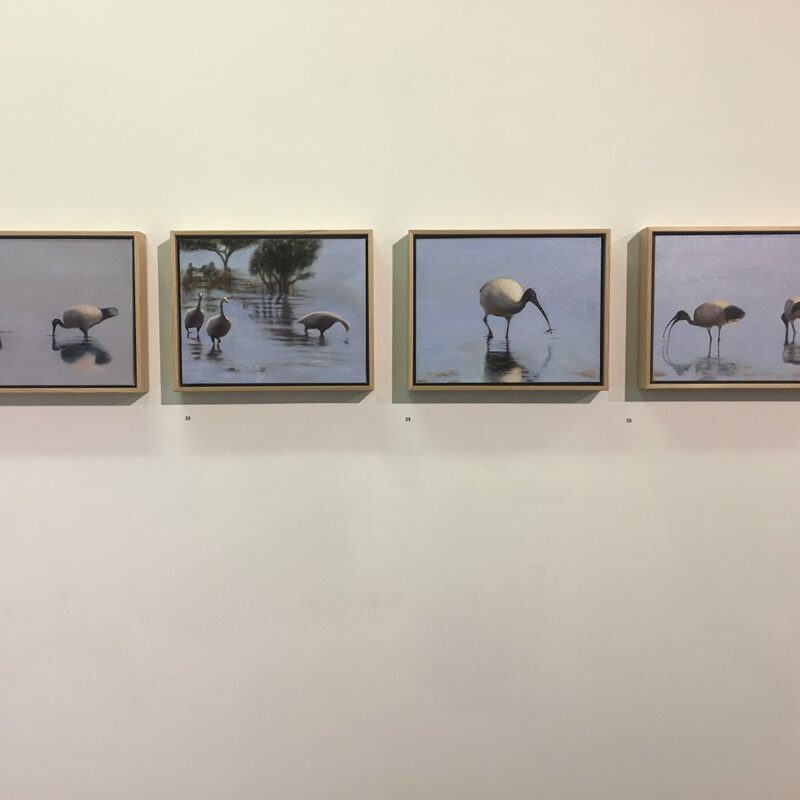 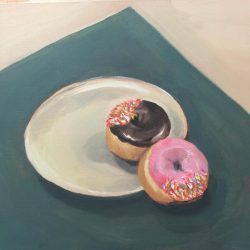 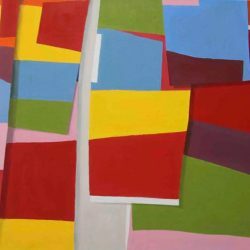 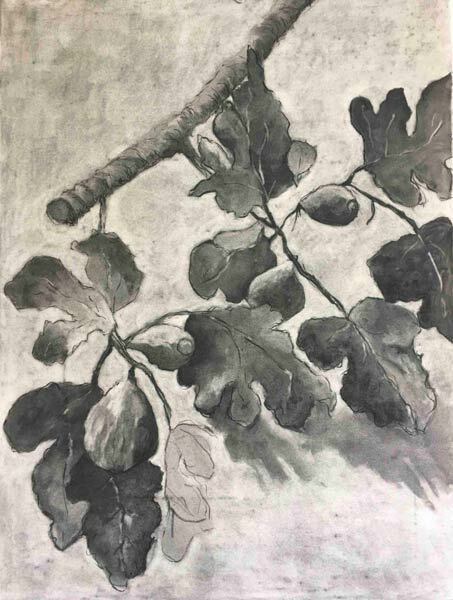 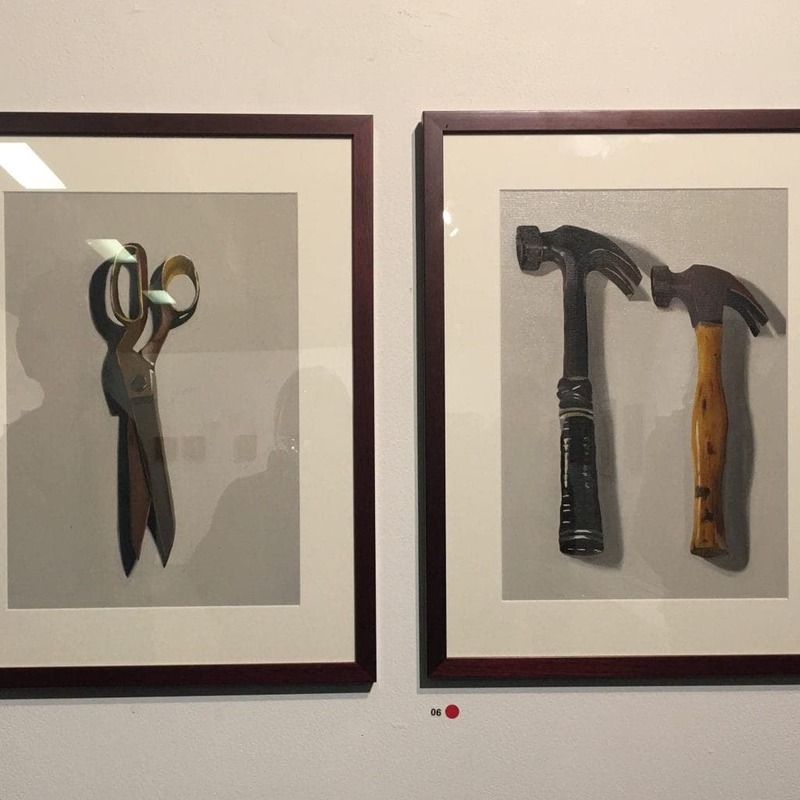 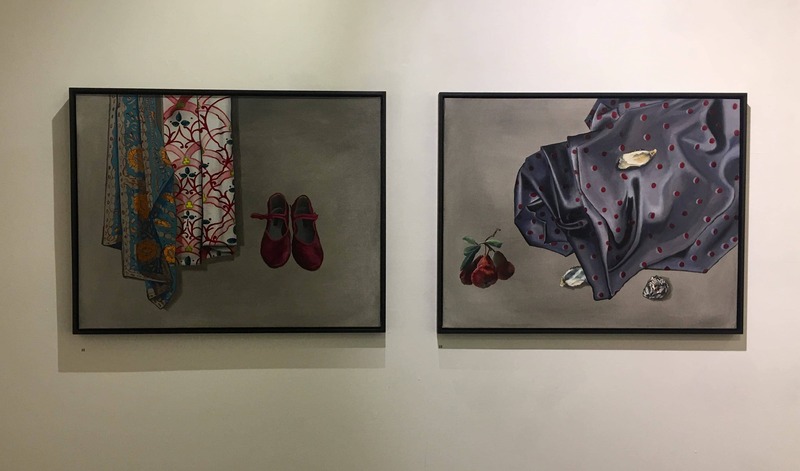 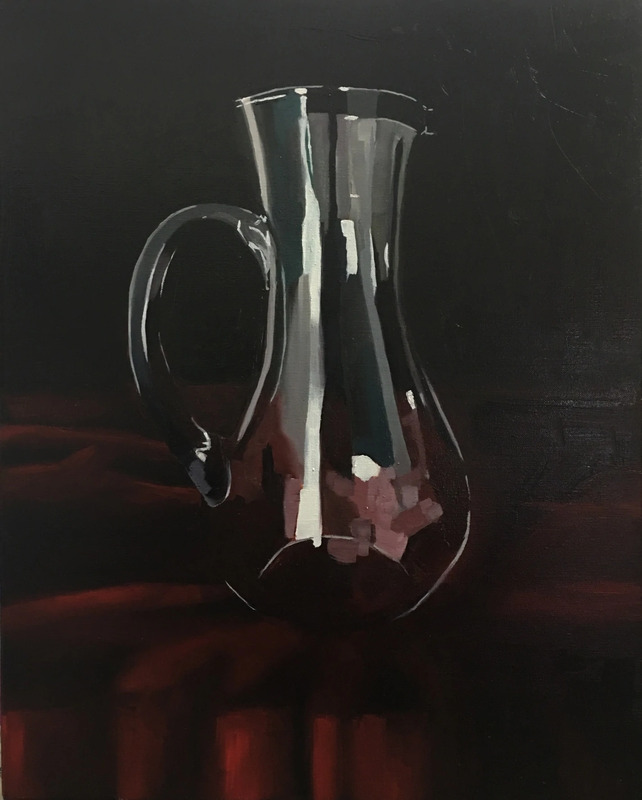 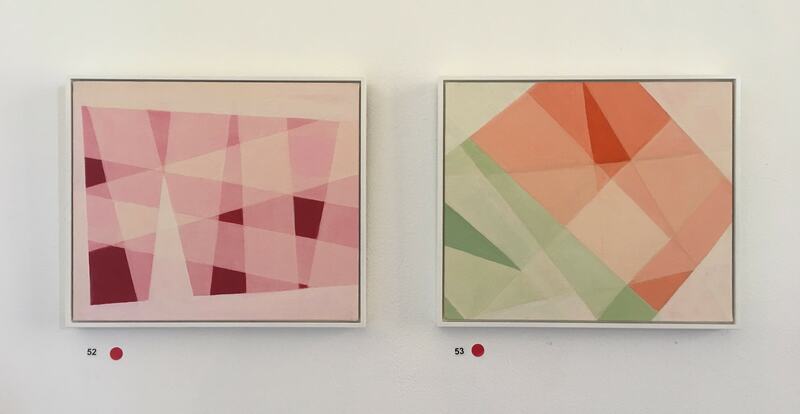 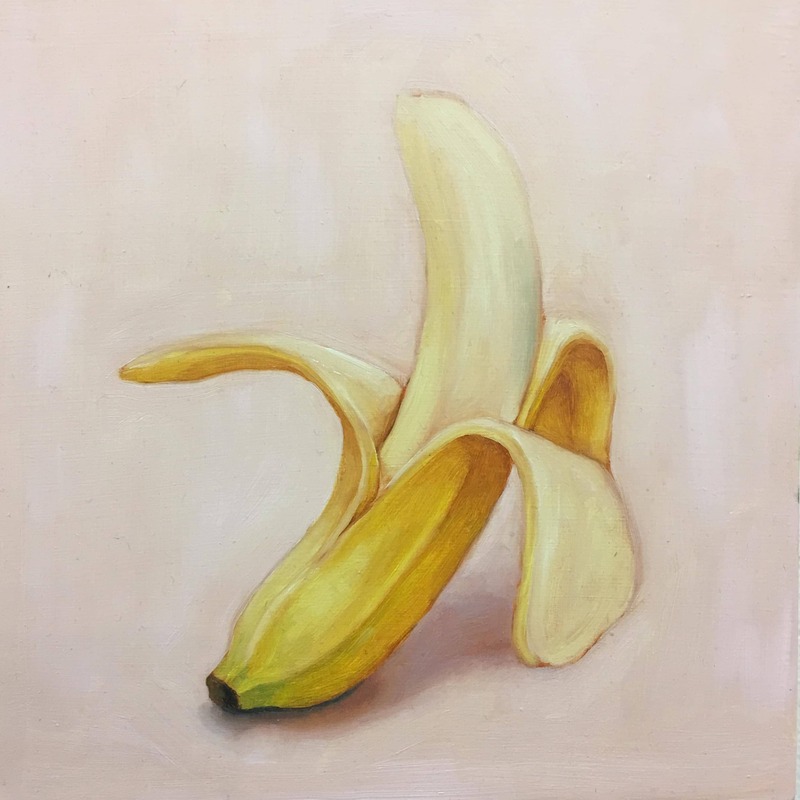 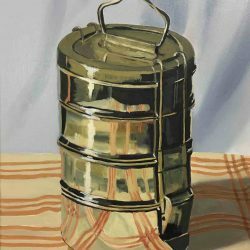 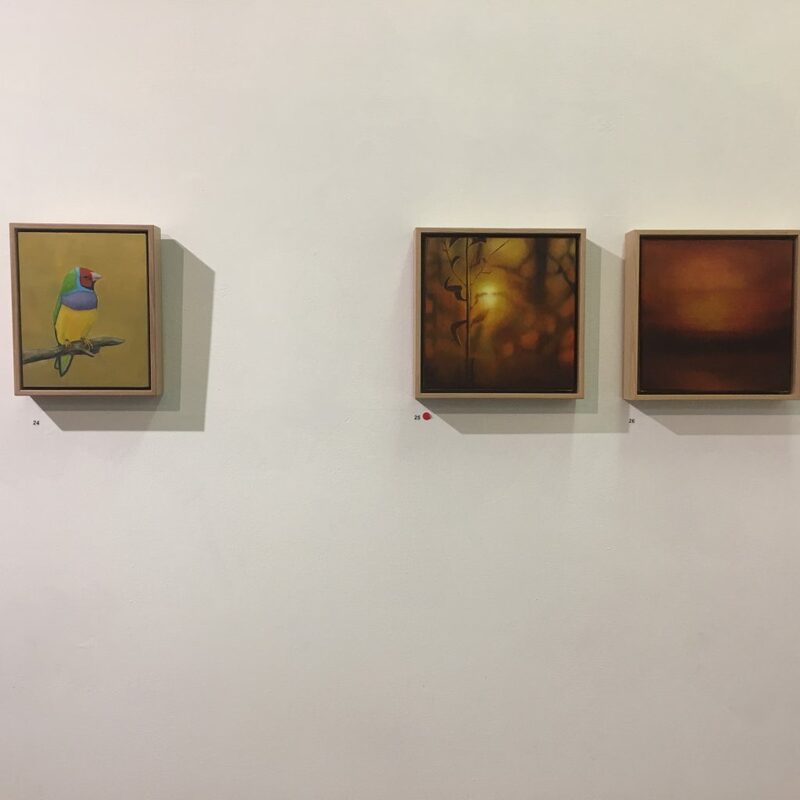 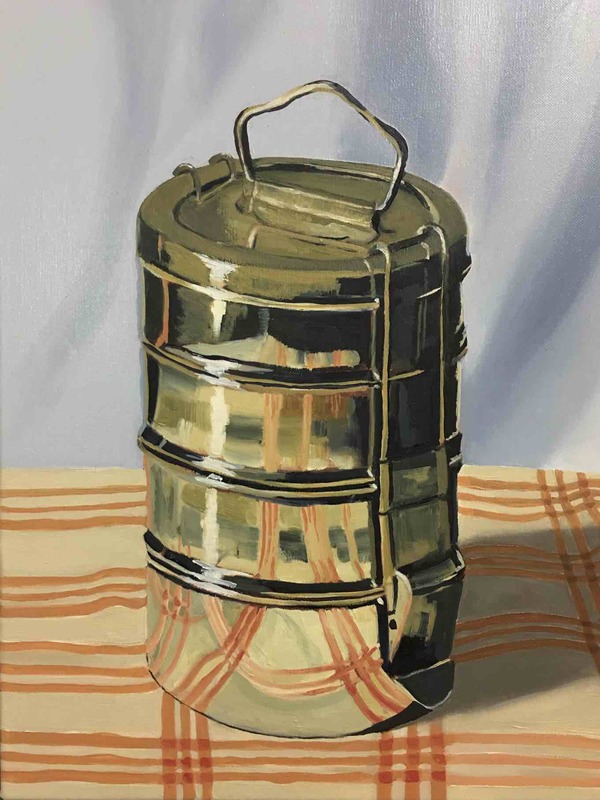 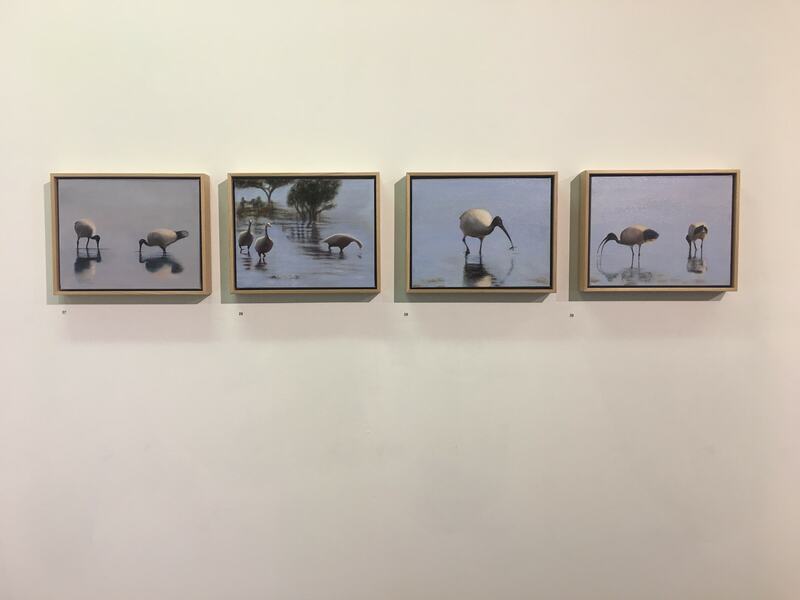 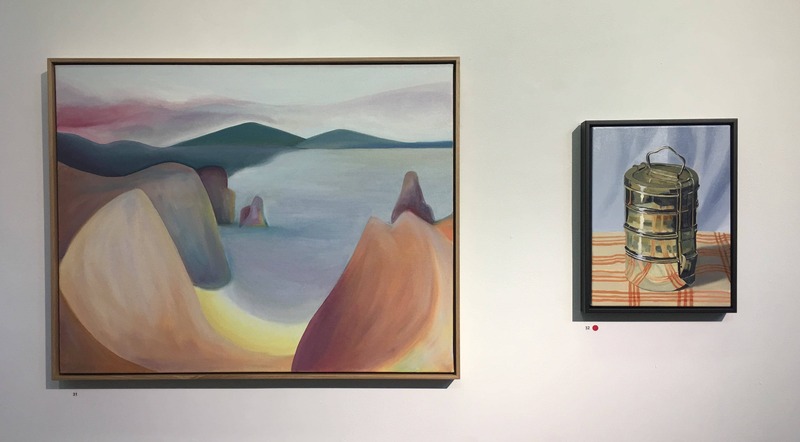 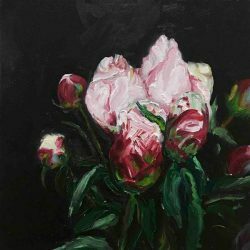 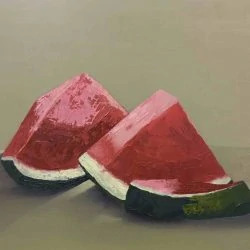 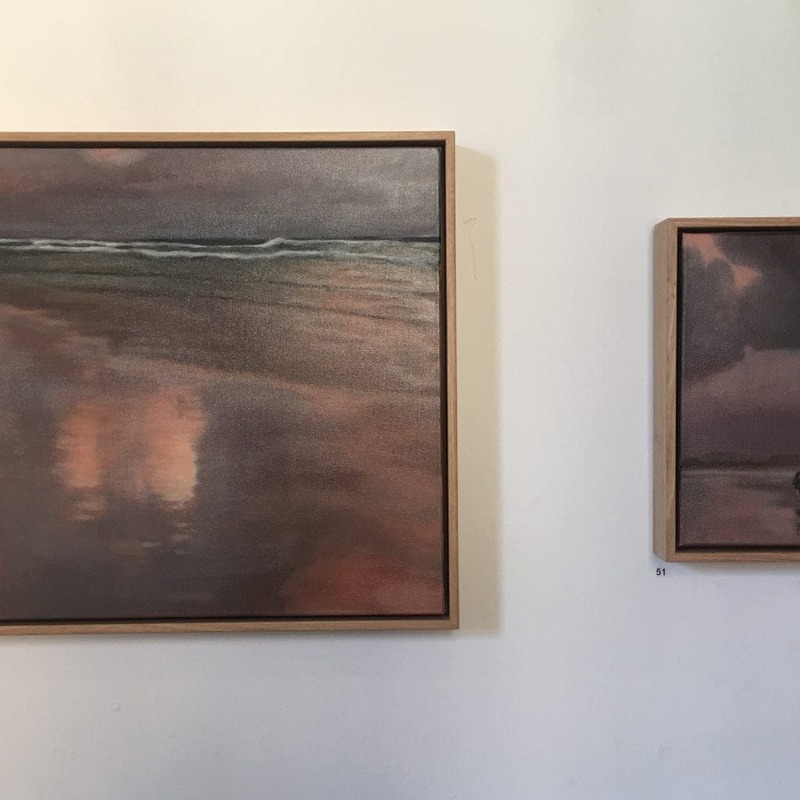 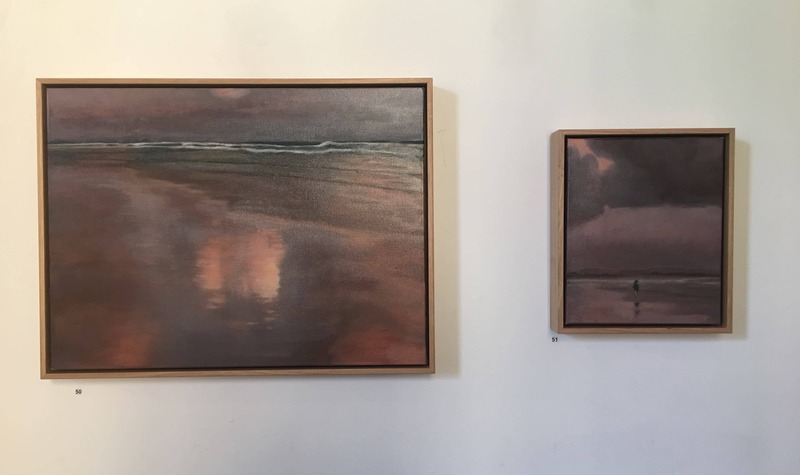 Their most recent show was in June 2018 at St. Helier’s Street Gallery, (images below) at the Abbotsford Convent, and in previous years at Red Gallery in North Fitzroy. 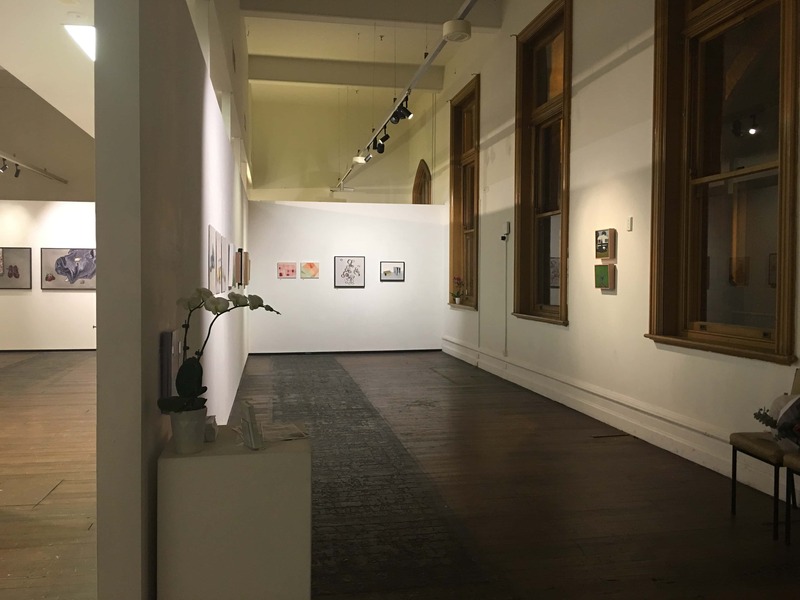 We also have former students who have gone on to formal tertiary art study, and are now exhibiting professionally. 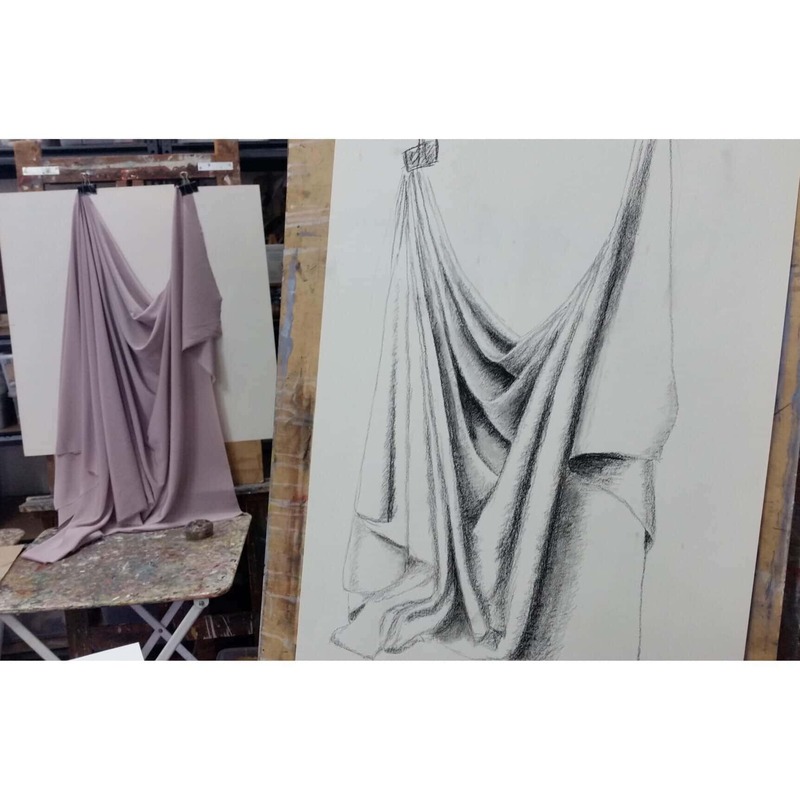 Check our Instagram account or Facebook page for regular updates to see what’s happening in the studio!